The Honorary Treasurer Jim Chalmers spotted an article in The Times this week regarding Samuel Edward Valpy Filleul. 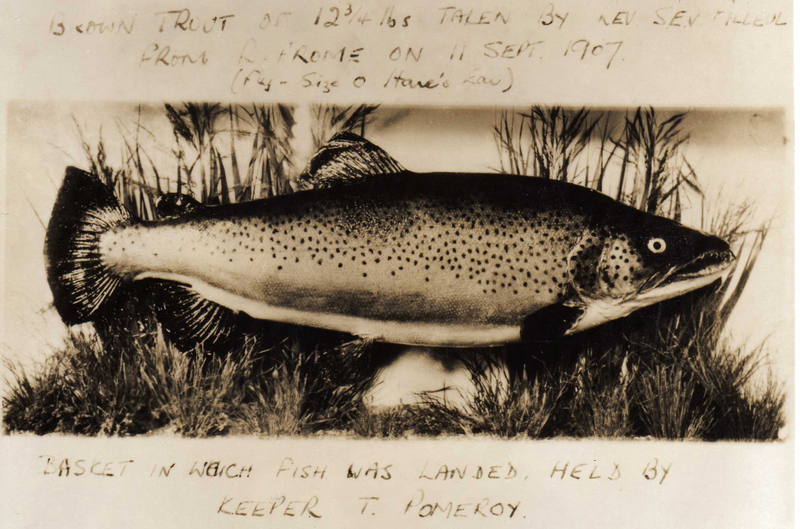 He was a Member of the Club and caught a dry fly record brown trout 12 3/4lbs 11th September 1907. The Times article is only viewable if you subscribe www.thetimes.co.uk, so here is a link to the Bournemouth Daily Echo www.bournemouthecho.co.uk and The Daily Mail www.dailymail.co.uk which actually has a photograph of the Reverend.